This man really knows how to act, and what proves this is how different a person he is in real life. He even *looks* completely different. His face becomes burned in my memory long after I've watched his work. He must be doing something right. He's a very convincing, confident, and passionate actor who really gets into his roles. I also find him quite attractive in a non-conventional way. Plus he has this cute pout like no other, haha. He is an actor with a charismatic personality. When he played as a bad guy, you can hate him for the role and like him for his acting at the same time. He's always one of my favourites since I was small... charming looks with professional acting skills! He was fantastic in both Toshiie and Love Complex. Has that something special light about him. 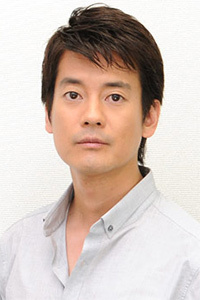 Another actor I always identify with, a real "Tom Hanks" of J-dramas, in my opinion! liking him is juz like loving chage & aska. it's an endless thing. great actor. Love his acting in the Great White Tower. A mature, professional actor. nice funny guy in variety show, but serious in drama! i luv him!! he is sooooo cute!!!! I saw him in imouto yo..so handsome!!!! because he's unforgettable in any of the roles he handles. I like his performance in Koi no Maiorita. One of the best actors in Japan. I like his work on White Tower.